Not sure what to get that Legend of Zelda fan? Save some rupees by picking up this special bundle. 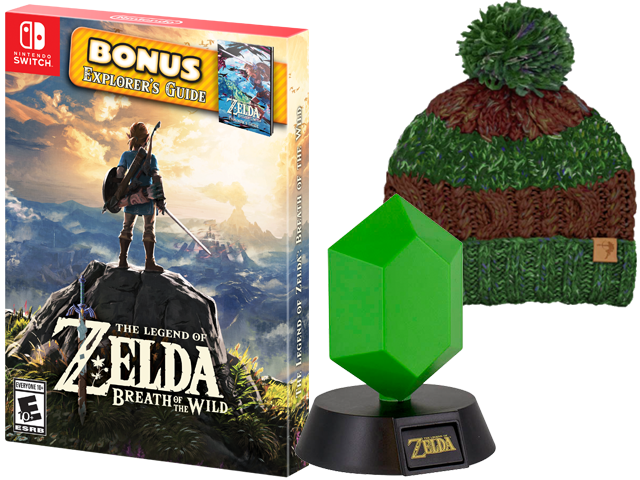 It includes The Legend of Zelda™: Breath of the Wild Starter Pack for Nintendo Switch™, a green rupee light, and a super comfy Zelda themed beanie (perfect for cold winter nights).